Soke Li'l John Davis is the founder of Kumite Ryu Jiu Jitsu, which is the third component of V.S.K. Ryu Jiu Jitsu. He is a Grandmaster in Sanuces and is the product of Grand Professor Vee and Dr. Moses Powell. 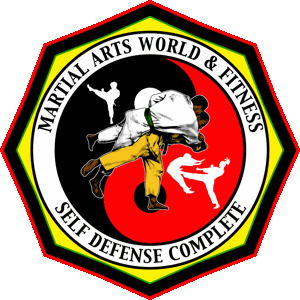 He is a renowned full-contact fighter and martial arts instructor and is responsible for teaching and grooming great martial artists such as Grandmaster Anthony Muhammad, Grandmaster Malik Shabazz and Sensei Stephanie Grier. Respectfully known as "Soke" to his students and peers, which is the Japanese title for "founder," John Davis was born September 14, 1949. He was one of eight boys and three girls. At the age of eight, he was separated from his mother and siblings and overcame serious odds while growing up in foster care until the age of 18. Soke Li'l John Davis started training in Shotokan Karate with Sensei Buster when he was eight. At the age of 10, Sensei Buster took him to Dr. Moses Powell and remembers Sensei Buster telling him "He looks good, but you can't take him." Soke Li'l John Davis said that Dr. Moses Powell, "Faked me out...The Doctor put me in a headlock, so I slipped out of the headlock and got a bloody nose. It was all good though, because the Doctor liked my spirit." He had trained with The Doctor ever since. Soke Li'l John met Grand Professor Vee while training with Dr. Moses Powell and says that their instruction and guidance made him what he is today. "Grand Professor Vee was like a father figure to me. He and The Doc carried me through the jungle," he recalls. Soke Li'l John Davis describes Grand Professor Vee as positive, possessing a strong and lasting spirit "They gave me something that helped me deal with the anxiety, tension and the host of negative and hurt feelings I had from being separated from my mother. Though he is no longer physically with us, his spirit will always live on through the many lives he touched and enriched. And we must maintain the same spirit in our martial arts and all that we do!" Soke Li'l John Davis has experienced numerous victors n the tournament circuit for his devastating fighting style. He has fought in Madison Square Garden for the Wide World of Sports, and at the Manhattan Center against such individuals as Earl Bennett, Hawk Frazier, Marlo Thompson, Wild Cat Molina and may others. Those who have trained with and under the tutelage of this master fighter comment on his intense workout. Grandmaster Bill McCloud recalls that his most intense training was with Soke Li'l John Davis. "The warm-up was so intense that I would time the workout and sit outside until I knew it was over." 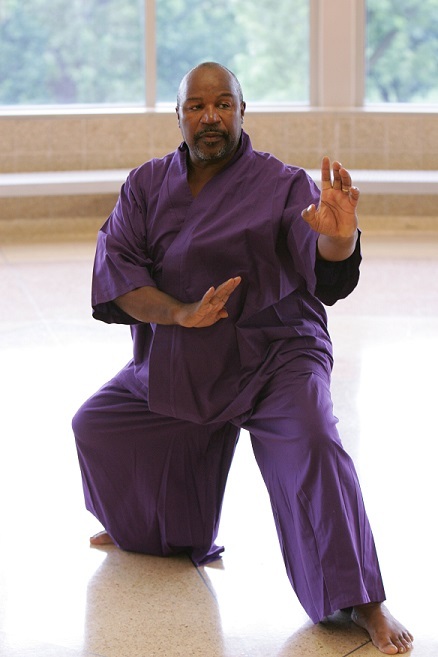 "Soke Li'l John is a 'scary man'," says Shihan Osei. "He's one of the few people who can enter the room without being seen, but if he wants you to, you can feel him. He has a very strong presence. Everyone who has taken his class knows that the workout doesn't start until you feel like class is over. He prepares you like this because your attacker comes at you when you are least likely to be prepared for him. I have to train before I go to train at his class. There has never been a time when I've felt comfortable with my skill or ability when training with Soke, because he would always take you to the next level..." "As a good student of Grand Professor Vee and The Doctor, Soke has acquired the characteristic of humility. He does not like to talk about himself or his accomplishments, but when you get to know him, you will know all you need to know....His presence is strong and his skill is tight."